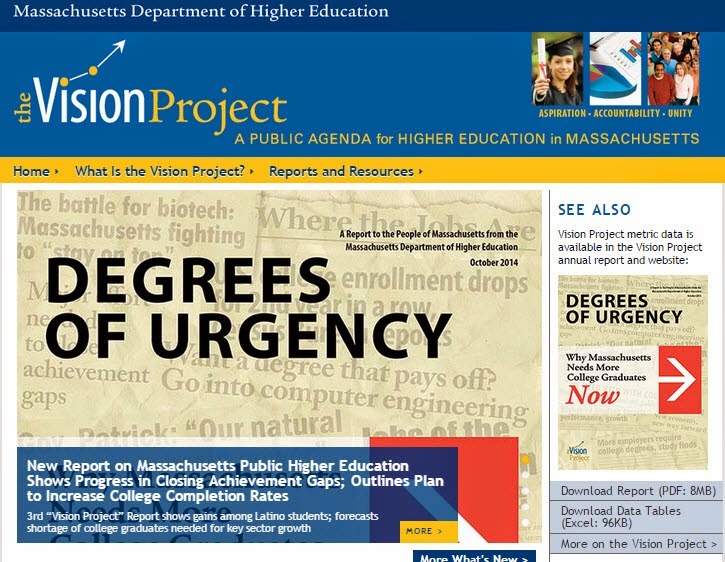 Snapshot of the Vision Project website. The report arrives on the heels of a dramatic shift in Massachusetts funding for higher education. The new funding formula focuses significantly on completion rates of students who start full time and complete a program within the expected time. The formula seems likely to exasperate existing problems since state institution populations have continued to grow significantly since 2000, despite over 30 percent drop in public funding during that same time." For the full post, please visit the On Campus Blog here.